26th June 2008. In this Issue: Launch of the Activities section on ExplorOz, Membership Run-Out and 2 New Articles - Trailer Boats and Boat Registration & Licensing. Are you always looking for interesting things to do? Now you can browse thousands of unique activities in every state, check availability and even book online with the newExplorOz Activities section. We’re also happy to announce we have taken stock of (and selling fast) the new Hema Navigator. And in these final days before the end of financial year marks your last chance to sign up for Membership before a price increase on 1st July. Don’t be caught without a suitable first aid kit! 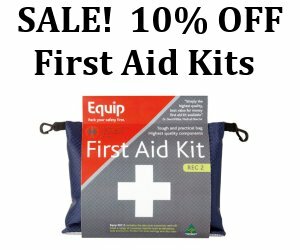 ExplorOz are currently offering a 10% discount on all of our quality first aid kits. We have a range to suit everyone’s needs, and they can be purchased HERE. As of the 1st July there will be a price increase on all new & renewal memberships. In order to take advantage of the current pricing structure, make sure you purchase your ExplorOz membership prior to the 1st July! There's no better incentive to buy the Hema Navigator from ExplorOz than knowing what a great deal we have for our Members. RRP $990.00 but ExplorOz Members will earn back $49.90 Member Money and we'll ship it free to your door. Limited stock - be quick! 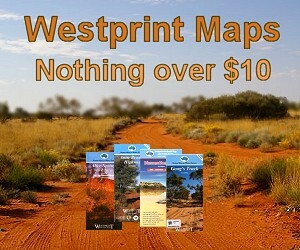 ExplorOz stock a huge range of Westprint Outback Maps. These detailed maps cover places such as the Birdsville & Strzelecki Track, Innamincka, the Canning Stock Route and much much more. What makes this even better, is the fact that not one map is over $10. Get yours today! Boating is a popular recreational activity that the whole family can get into. Trailer boats are fun, versatile, range in size and type, and can be towed. We have provided two articles with one touching on trailer boats and the other providing some quick links to relevant websites regarding boat registration and licensing. Find over 1600 tours andactivities across Australia with real time availability and instant booking. Each activity is fully geo-referenced, integrated withPlaces and easily searchable. Activities are featured throughout ExplorOz such as the home page and relevant articles. Get over $400 worth of gear FREE with WAECO! Don’t miss out on WAECO’S FRESH WINTER PACKAGE! Buy a WAECOCoolFreeze CF fridge/freezer - Australia’s No 1 portable fridge - and you will receive over $400 worth of gear FREE!The package features a WAECO Merchandise pack and the Freshield Elite II Vacuum Sealer. This little beauty lets you enjoy commercial quality vacuum packing at home, minimising food spoilage and keeping food fresh up to 5 times longer, stretching the food budget further!Available for a limited time only. Conditions apply, please see www.waeco.com.au for details and a list of retailers. Our newsletter is distributed to 31,217 subscribers on a fortnightly basis.